When it comes to eCommerce, the pace at which new technology is being developed is staggering. We’re only just scratching the surface of technologies such as AI and AR and yet they are already transforming how retailers operate and how customers purchase products. In fact, Gartner predicts that AI will have the most profound impact on all aspects of commerce. In addition, voice enabled assistants such as Alexa and Google Home are changing the way people search for and purchase items, as are the increasing number of smart home appliances, connected to the Internet of Things. These innovative new technologies, and the way they are being used by forward thinking organisations, are also driving unprecedented levels of customer demand and expectation. Savvy consumers expect Amazon level same or next day delivery, couple with a personalised, seamless service across a seemingly ever-growing array of channels. In addition, there is an increasing desire from consumers to connect with brands on an emotional level, and an expectation that the brands they use should echo their moral and ethical stance. Agile competitors are also harnessing emerging technology to turn traditional business models on their heads. New businesses can bring ideas and products to market incredibly quickly, effortlessly disrupting long standing organisations. New technology may be disrupting traditional ways of doing things, but it can also be harnessed to provide true competitive advantage. In a world where customer experience is arguably the last true battleground, technologies such as AI and AR are important tools in delivering superior customer journeys. Every time customers interact with a brand they are passing on reams of information and data, telling businesses about what they like and don’t like. So much so in fact, that many organisations are drowning in it. Yet with personalisation central to good customer experience, and customer data holding the keys to personalisation, all this data needs to be waded through. AI offers a way to do this in a fraction of the time it would take to do manually, and can be used to create a clear picture of individual customer wants and needs. In the same way, AR can be used to help customers visualise products better to see how they will fit their unique needs. Some organisations still regard eCommerce as just a technology consideration rather than a strategic part of their business. But to do this is to misunderstand the value that a well thought out and executed eCommerce strategy can have. Just treating it as a tick box exercise which focuses on the specific eCommerce platform is a short sighted approach. Instead, organisations should take a joined up approach to eCommerce, which also incorporates digital marketing, operations, fulfilment and delivery. Keeping each of these elements in silos will only hinder efforts to offer personalised and seamless customer experiences. 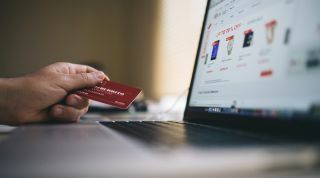 While the deluge of data can be overwhelming, but it also offers unprecedented insight not only into customer behaviour, but also into how different elements of an organisation’s eCommerce strategy is working. Yet the majority of businesses are either not gathering, analysing and acting on data, or they are producing hugely in-depth and over complicated reports that can’t be understood by the leadership team and never translate into actionable plans. Developing a true understanding of eCommerce and the role it plays in driving value for an organisation is vital to ongoing business success. A good eCommerce strategy can enable true personalisation, streamline operations and drive efficiencies. By taking an overarching, ongoing and measured approach, as opposed to a series of tactical campaigns, businesses should be able to identify gaps and weaknesses, highlight strengths and future opportunities and successfully measure and benchmark performance. Importantly, having such a strategy in place will enable organisations to take a holistic view that covers everything from technology and delivery to user experience and social. We’re often asked which one thing organisations should be doing to drive high performance eCommerce, but in reality there is no one magic bullet, but instead a collection of aligned initiatives, all working along the same path towards the same goals. When confronted with the range of exciting, emerging technology available, some organisations can become almost like a child in a sweet shop. However, just selecting and implementing shiny new technology because it looks and sounds innovative, is a recipe for disaster. Instead, organisations should not be afraid to get back to basics when it comes to selecting any new technology. The first step here should always focus on where an organisation is now. This should include a thorough overview of all relevant business processes, from operating models and website performance, to delivery and fulfilment and customer service. Of course, an audit of current technology and how it is performing is key here too. Following on from this, should be a look into the future. By recognising where they are performing well as well as any current gaps in performance are, organisations can plan ahead appropriately when it comes to selecting the best technology for their needs. These insights can then be fed into an overarching eCommerce strategy, which joins up elements from across technology, digital marketing, customer experience, delivery and operations. Indeed, it should include a reshaping of the fundamental organisational architecture to ensure that the business model is centred around enabling growth and driving value through eCommerce. However, organisations should not make the mistake of simply developing a strategy and then thinking that the job is done. A good strategy, including a well thought out roadmap, which incorporates measurable milestones, should factor in continuous optimisation. Technology does not stand still, nor do competitors or customers. Change happens so fast, that unless organisations are on the ball in terms of optimisation, they will soon be way behind the curve. While revolutionary new technologies have the potential to add real value to eCommerce strategies, organisations need to ensure they are being harnessed as part of an overarching, well through out strategy if they are actually going to drive growth and a competitive edge.